Canterbury University College (now the University of Canterbury) was founded in 1873 in the central city. The stone buildings, designed in Gothic Revival style by Benjamin Mountfort, are reminiscent of much older English universities. 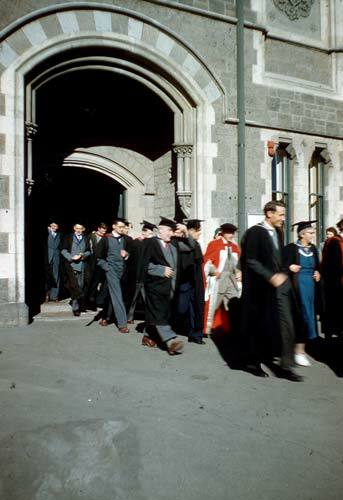 These 1960s graduates are passing through an arch from the quadrangle and past the Great Hall.